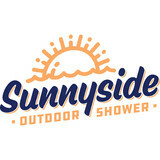 Build and design outdoor shower units. Sunshine Landscaping was established in 1996 like most landscaping companies are, by mowing lawns part-time with a pickup truck and a push mower. 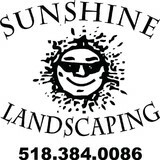 Today, Rich Mollnow and son-in-law Frank Oaks have built Sunshine Landscaping into a full service commercial and residential landscaping and masonry business serving the Capital District and beyond. With 15 employees, most of which have been with us for several years, Sunshine has made a name for itself in both quality and service. Most of the work we perform stems from referrals from satisfied customers or repeat customers that need additional work at their home or business. As a member of the Better Business Bureau, it is important to us that customers are satisfied with every job whether it is a simple tree installation or a 50-foot wall installation. We are fully insured and estimates are always free. 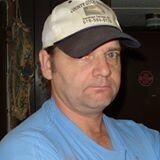 American Design & Contracting is owned and operated by Marc Micare and Joe Sutherland. Marc and Joe proudly stand behind every project they undertake and look forward to working with you on your Residential or Commercial projects. Since 1985 American Design & Contracting has been serving the communities of the Capital District by providing the finest home improvements at the best prices around. What sets us apart is our creative custom designs that not only add elegant beauty to your home or business, but increase the value of your property investment. County Deck Services is a service-oriented company; We provide the skill and the labor to construct your additional living area, in addition we act as purchasing agents to find and purchase the least expensive and highest quality materials available to complete the work requested. Skylo Construction can create your perfect outdoor living area. We’re experts in Trex Decking. From conception to completion, any decks are fast and professionally done by Skylo Construction. We are located in Rock City, New York and our coverage area is vast, give us a call to see if we’re able to get you started on your perfect decking project. 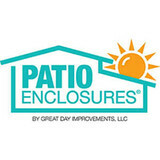 Family owned & operated since 1947, we provide custom made awnings & canopies for doors, windows and patios in both aluminum & fabric. Meridian fence is the only custom, hand made fence brand in upstate New York and surrounding areas. We have brought old world design into modern living, accommodating the needs of today's families and businesses with style. From fire and water damage restoration to storm clean up, mold remediation and reconstruction, our team of technicians will work tirelessly to restore your home to its prior state. Locally owned business serving Saratoga Springs, Albany, Schenectady, Troy, Glens Falls, Warren County and the surrounding area. What services do deck and patio builders in Manchester Center, VT provide? To help you choose the ideal style, configuration and materials for your deck or patio, your deck and patio contractor will survey your Manchester Center, VT lot and your home to come up with a design that complements your exterior as well as being structurally sound. He or she will recommend sizes, heights and construction materials that suit your lifestyle and climate, as well as explain the best stain or finish options. Additionally, deck and patio professionals can provide insight into additional components such as outdoor kitchens, patio covers, fire pits, outdoor lighting, arbors and more. Your deck and patio professional might work closely with another Manchester Center, VT lawn and landscape professional. Here are some related professionals and vendors to complement the work of decks, patios & outdoor enclosures: Landscape Architects & Landscape Designers, Garden & Landscape Supplies, Stone, Pavers & Concrete, Landscape Contractors, Building Supplies. Find a deck and patio builder in Manchester Center, VT on Houzz.